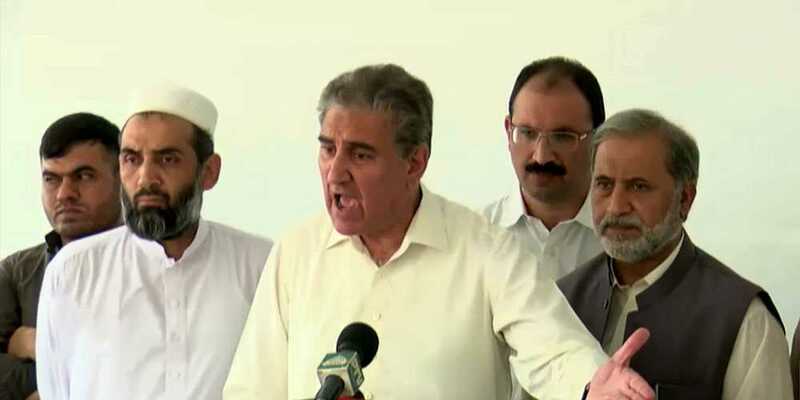 Pakistan Tehreek-e-Insaf (PTI) leader Shah Mehmood Qureshi on Wednesday has expressed gratitude to all the allies for their support. Addressing the National Assembly session after speaker and deputy speaker elections, Qureshi said that criticism is opposition’s right. Will welcome different aspects of reforms, he added. Earlier while talking to media, he termed Pakistan Peoples Party (PPP) and Pakistan Muslim League-Nawaz’s (PML-N) duo as unnatural. It is to be mentioned here that PTI’s Asad Qaiser sworn in as the 21st Speaker for the National Assembly amid opposition‘s protest. Qaiser bagged 176 votes while PPP’s Syed Khurshid Shah received 146 in the secret balloting process. A total of 330 votes were cast among which eight were rejected. Outgoing speaker Ayaz Sadiq administered oath to new speaker who will supervise the election of the deputy speaker for the Lower House of Parliament. PTI enjoys support of its allies including Balochistan Awami Party (BAP), Muttahida Qaumi Movement Pakistan (MQM-P), Balochistan National Party-Mengal, Grand Democratic Alliance (GDA), Awami Muslim League (AML), Pakistan Muslim League Quaid (PML-Q) and Jamhoori Watan Party. After allotment of reserved seats for women and minorities by Election Commission of Pakistan (ECP), PTI’s tally in NA stands at 151. Adding seats of MQM-P, GDA, AML, BAP and BNP-M, the tally soars to 175. Two independent candidates have also assured PTI of their support.